Brought to you by Fricaine and Shabby Chic Boho. 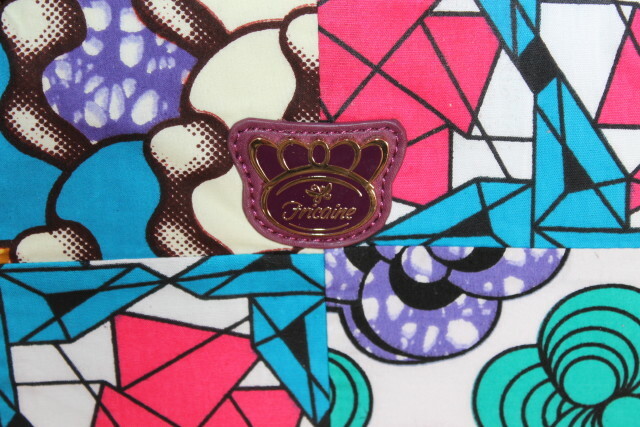 I really like my new one of a kind Fricaine Pretty Bride Shoulder Bag. I love being unique and I always try to buy items that no one else has. I don’t want to follow the crowd. I want to be a trendsetter. 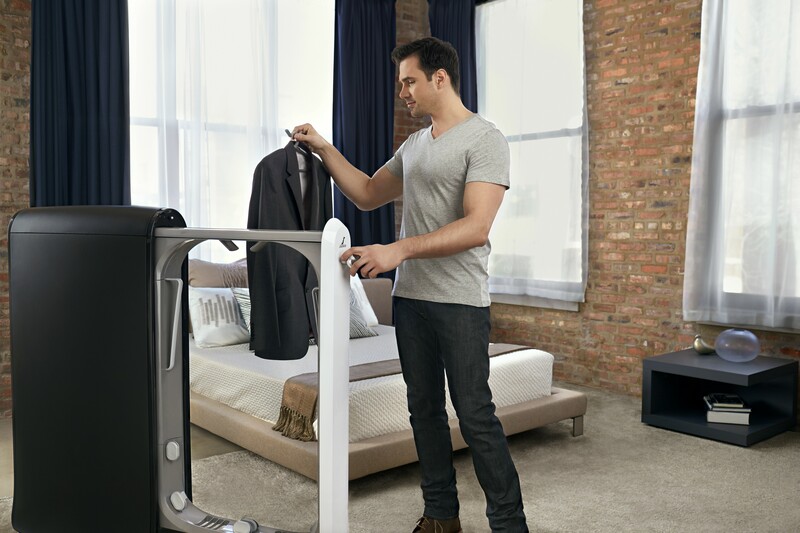 Showing off unique items gives me a chance to tell my family and friends about my selections because they always notice my unique clothing and apparel products. I love the color of the trim as well as the fabric patterns. The bag also comes with an additional longer strap which I don’t really use but if I ever want to, I’m glad they gave that option. 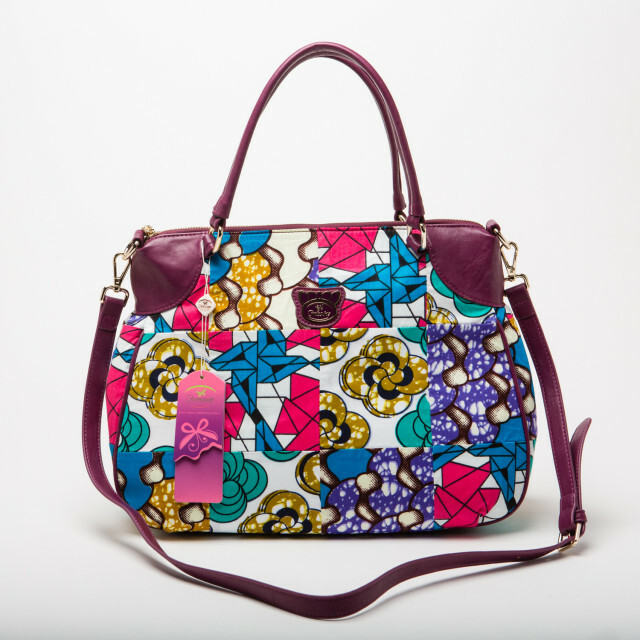 The shoulder bag is really colorful and would go with just about anything you could possibly own in your wardrobe. 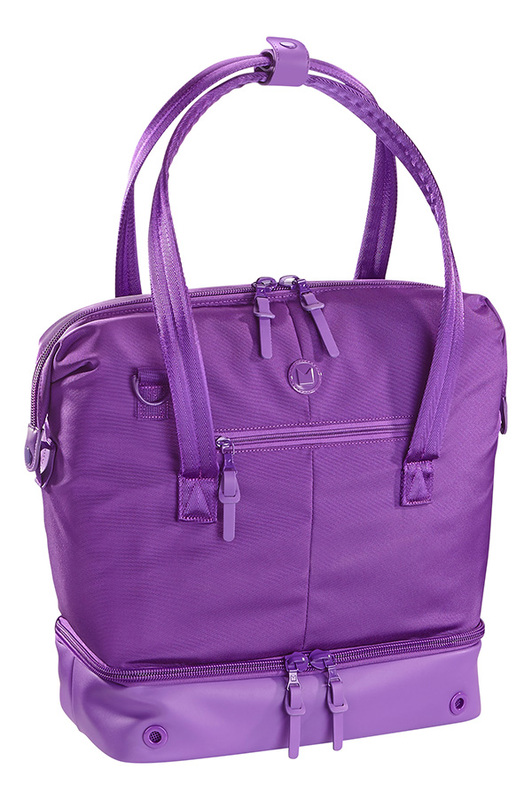 It comes in four different exotic designs and is roomy enough to hold everything you could possibly need and then some. 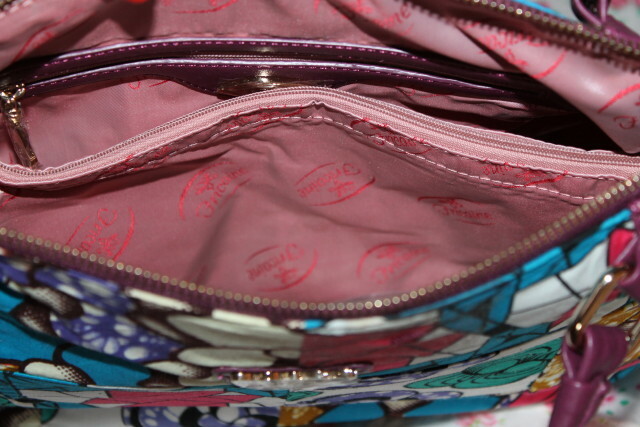 There are so many different compartments, there’s even a zippered compartment on the back which I use for my keys. 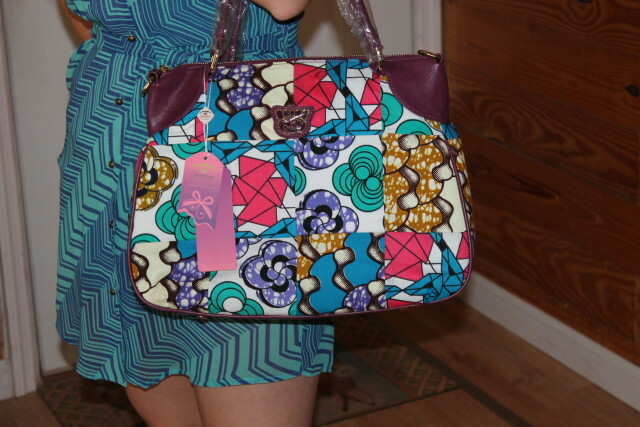 I really love the colorful design of my new Pretty Bride Shoulder Bag and the logo printed inside of the bag as well. 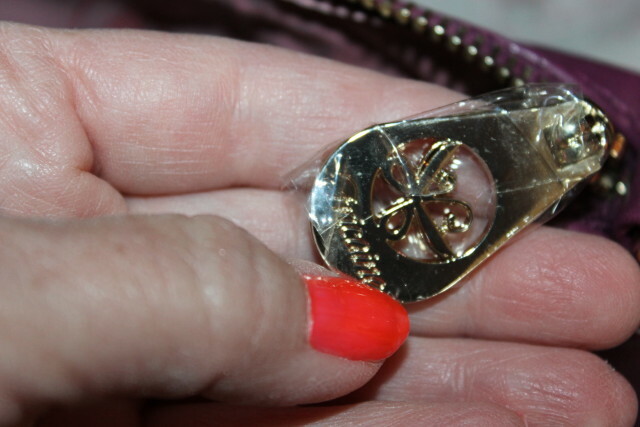 The emblem is on all of the dangling zippers. I have a thing about logos, emblems and brands. It reminds me of who I got a product from so I’ll know where to go to buy my next one. And plus, logos are just cute to me for some reason. Bling. I am thrilled they included a middle zippered compartment so I can keep my checkbook and other important documents safe and secure. See why I love the printed brand name logo? It’s cute as can be. I know you like savings as much as I do so take advantage of promo code FRICAINE15 to get a 15% discount on every item you order. 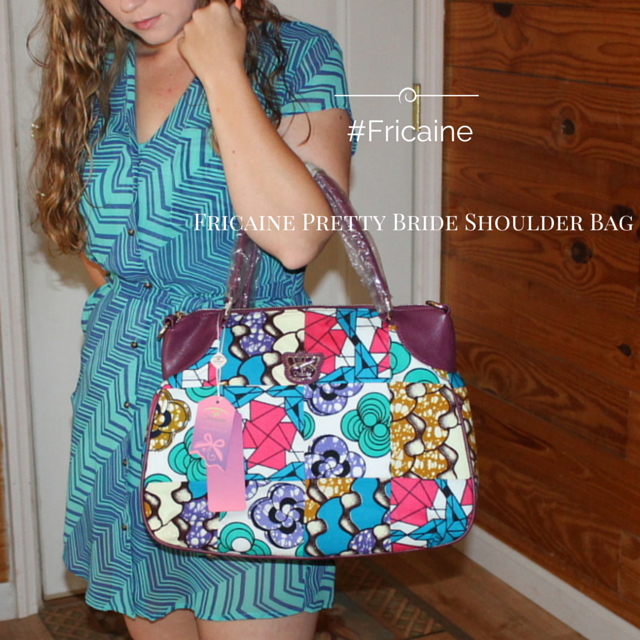 You can purchase a Fricaine Pretty Bride Shoulder Bag for yourself or a friend at fricaine.com for $118 minus the 15% discount. 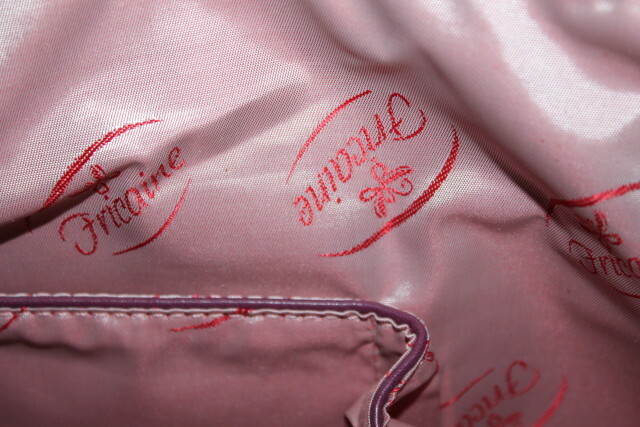 Who would you buy a Fricaine Pretty Bride Shoulder Bag for? 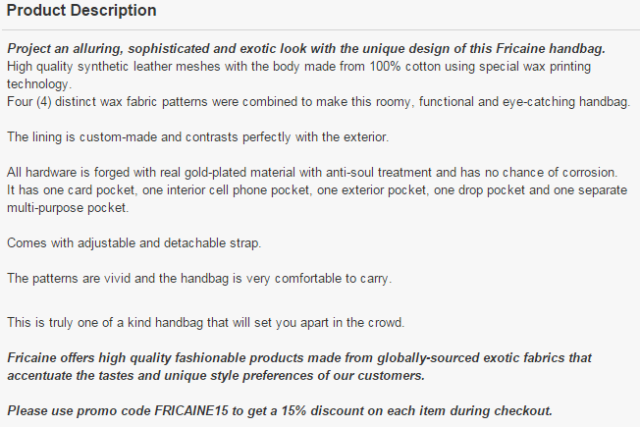 I would like a Fricaine Exquisite Rattan Handle Shopper Bag next. Which Fricaine bag is your favorite? 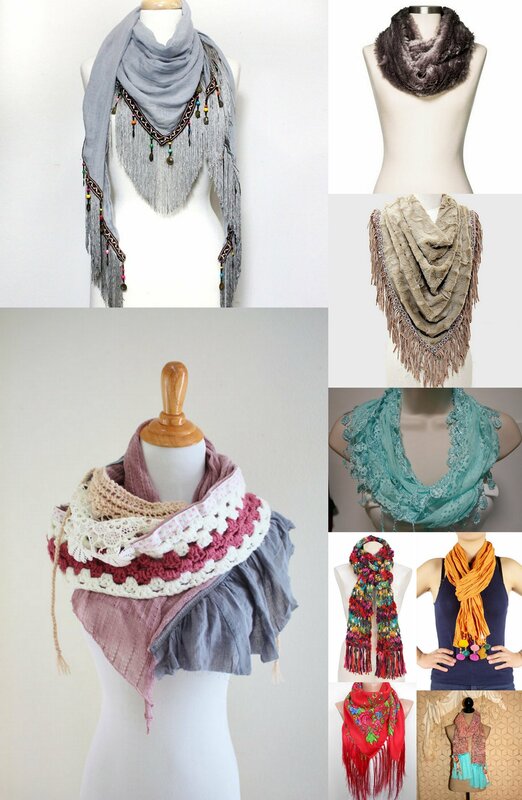 Follow Fricaine on Facebook, Twitter, Pinterest and Instagram. 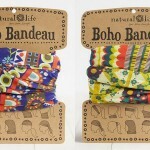 This post was brought to you by Fricaine and Shabby Chic Boho. All opinions are 100% mine. wow, I love all the details. Looks fashionable and chic. Great choice! Gorgeous bag! I love the color and the inside looks roomy. The size is great. I can keep my tablet in it and everything else. Except the kitchen sink, because my sink is huge lol. It goes with so many of my outfits. I love unique, it should be my middle name lol. Thanks for your input. 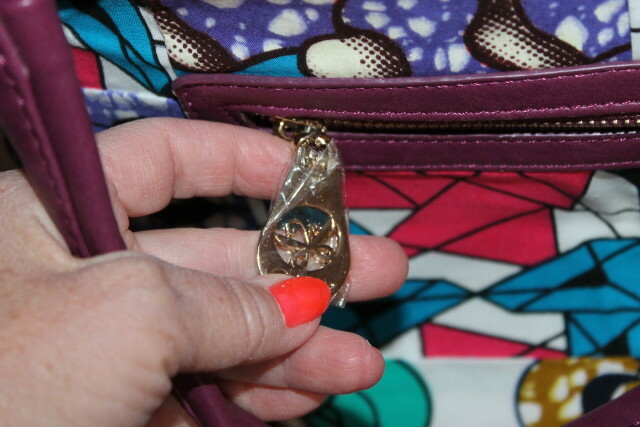 They really do and I love companies that put the little leg pegs on the bottom of their handbags like this one does. I hate to set my bags on any surface if they don’t have the bottom pegs. It’s a great size. I used to use shoulder straps until I had my back surgery and I can’t stand the weight on my shoulder any more from handbags. They have some really cute bags, I’ve my eye on a couple more. This is an absolutely gorgeous bag and it looks like it is well crafted. 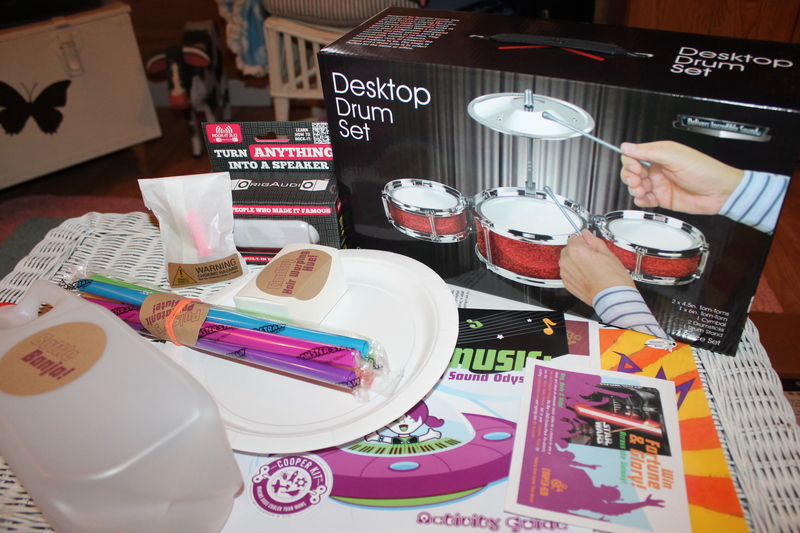 I am going to have to check out their site to see what divalicious finds I can find. I would buy that bag for myself. It is definitely bright and pretty and is about the size I need. I do use shoulder straps and am glad that it comes with one. That’s such a cute purse. I’ve never heard of the brand, but they make great products. That’s a different looking handbag. I like unique bags too. Actually, I’m a bagaholic. 🙂 Thanks for sharing this with us! Maketta recently posted…Homebased-Business: How To Join The Perfect One For You? I actually really like this bag, I think it’s my fave. I love the colors and so much going on. It’s reall pretty! So perfect for summer! I absolutely love it. I love all the colors and especially the size. I prefer bigger bags like this so I can fit everything in there.